Transferred from the Office of the President, accessioned 1976 (1976-22). The majority of this collection was originally classified as UPA10, University Activity During World War II Records. 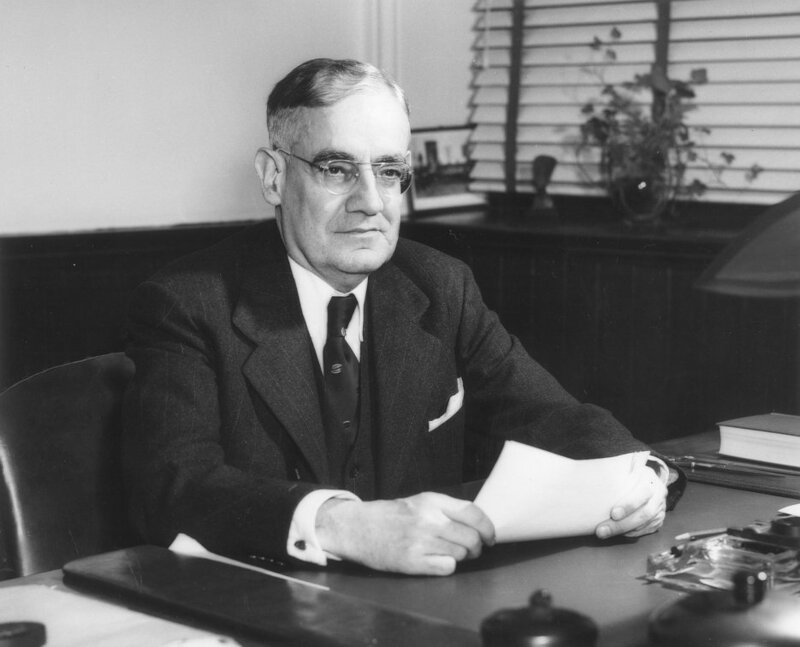 The Office of the Executive Vice President, Paul H. Musser Administration Records are organized into two series, Administration, 1940-1946, and Publications, 1922-1948. Both series are arranged alphabetically. Musser, who married Mary Thaddeaus Carr in 1925, earned his doctoral degree in philosophy from the University of Pennsylvania in 1928 and was named Dean of the College of Arts and Sciences and director of the College Collateral Courses in 1929. Musser was promoted to Administrative Vice President of the University of Pennsylvania in July of 1939. During World War II, Musser held the important position as the chairman of the University Committee on National Defense which coordinated the University’s war efforts. He served in that position under Thomas S. Gates until he became Provost on June 30, 1944. Musser served as Provost until July 1, 1951, when he was appointed Chairman of the University of Pennsylvania. Paul Howard Musser died on November 21 1951 – less than five months after being named Chairman. He was the father of one son, John Carr, and two daughters, Janet Anne and Virginia Ellen. The Office of the Executive Vice President, Paul H. Musser Administration Records consist of documents, publications, and the correspondence of Musser with regard to the University of Pennsylvania and the Second World War, particularly in Musser’s capacity of the chair of the University Committee on National Defense. The bulk of the collection is the Administration series, which consists largely of Musser’s correspondence from his positions of Administrative Vice President and Provost of the University of Pennsylvania in the years, 1940-1946. Included in this series are the minutes of the meetings of several war-time committees, as well as a number of publications – most notably a series of bulletins written by the American Council on Education. Also notable in this series are several surveys and questionnares relating to the war, as well as a good deal of direct correspondence between Musser and divisions of the military. Additionally, this collection includes a folder of correspondence between Dr. George W. McClelland and the University War Council. The Publications series, 1922-1948, consists of loose pamphlets and booklets from the collection. With only a few exceptions, these pamphlets and booklets are from the same general time period, 1940-1946, as the Administration series, and most deal with either the University of Pennsylvania during the war, or World War II in general.